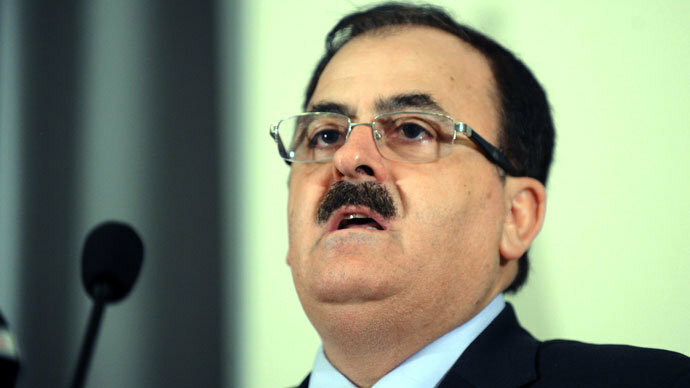 The top Western-backed commander of the opposition forces in Syria, General Salim Idris, has denied US claims that he was run out of the country by Islamist militants. On Wednesday, US officials told the Wall Street Journal that Gen. Idris was forced to flee the war-torn country. On the same day, the US and Britain announced that they were freezing non-lethal aid to the opposition after radical militants from the Islamic Front took control of the Free Syrian Army’s bases in northern Syria. Gen. Idris fled to Doha, Qatar on Sunday after leaving Syria for Turkey “as a result of the Islamic Front taking over his headquarters," a senior US official said. However, on Thursday, the Syrian National Coalition’s (SNC) official spokesman dismissed those claims as “laughable,” saying the commander is currently holding talks with the Islamic Front. “General Idriss is still in contact with the FSA brigades that are on the ground, he's still in contact with the Islamic Front,” he added. The Islamic Front is a coalition of the largest Islamist rebel factions, excluding two top Al-Qaeda-associated groups, the Nusra Front and the Islamic State of Iraq in Syria. 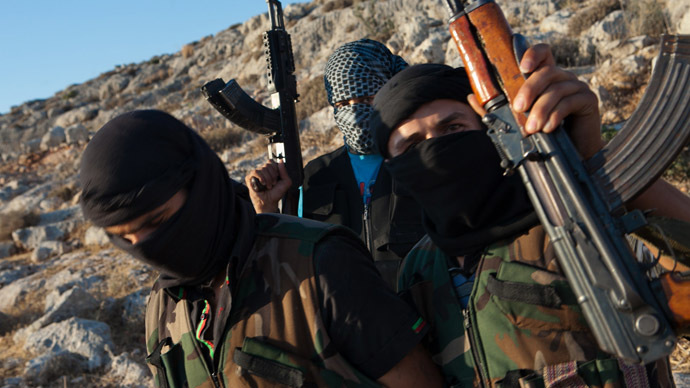 It is considered more moderate among Islamist militant groups. On Friday, radical militants from the organization seized several premises containing non-lethal aid from the US. The aid belonged to the Supreme Military Council (SMC) of the Free Syrian Army at the Bab al-Hawa crossing near the Turkish border, Reuters reported. The Islamists acting on their own accord gave no warnings and provided no explanation for their actions. “As a result of this situation, the United States has suspended all further deliveries of non-lethal assistance into northern Syria,” the US Embassy spokesman in Ankara said on Wednesday, stressing that humanitarian aid distributed through non-governmental organizations will not be impacted by the decision. The growing strength of the Islamic Front has led to direct talks between the group and the US and its allies. Western officials said the goal of the communication was to persuade Islamists to support a Syria peace conference to take place in Geneva on Jan. 22. As the Obama administration sorts through details of the takeover of FSA bases, it is urging Gen. Idris to return to Syria, US officials said. Senior US officials said the warehouses seized by the Islamic Front appeared to contain both lethal and non-lethal material. A CIA spokesperson would not comment on whether American weapons, possibly supplied by the CIA, were involved. Gen. Idris reportedly receives weapons from other sources as well, such as Saudi Arabia. US officials said the Islamic Front offered to protect Gen. Idris’ headquarters and the warehouse facilities from more extreme groups. Once they secured the area, "they asserted themselves and said: 'All right, we're taking over," according to a senior official. 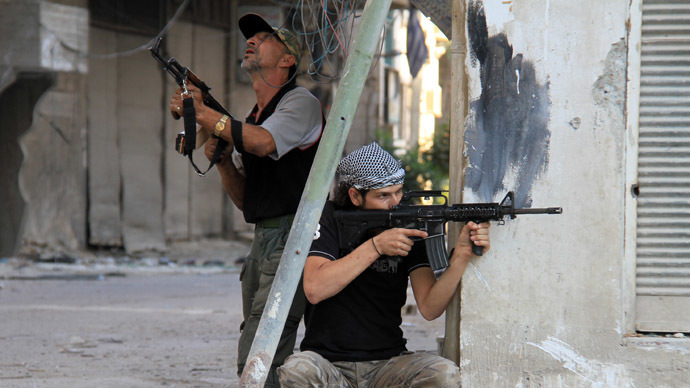 The officials said there was no battle over the warehouses between the Islamic Front and the SMC. One senior US official called the seizure “an internal coup,” though other officials disputed the characterization. "I wouldn't say this is the end of the SMC and the end of Gen. Idris," a senior US official told WSJ. The Obama administration said earlier Wednesday that it would like to work with the SMC, though the suspension of aid is indefinite. 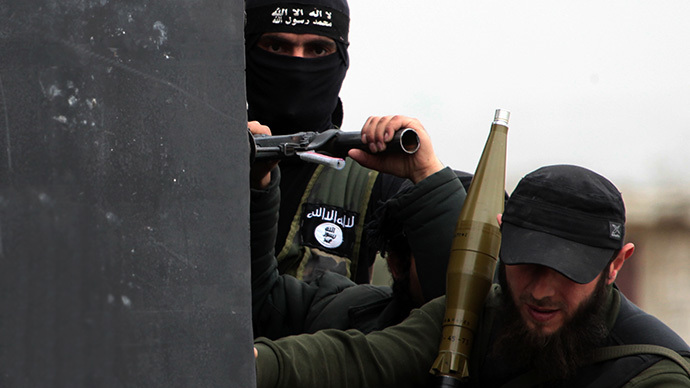 How the takeover will affect relations with the Islamic Front is still unclear. The British government followed the US in suspending assistance to the SMC to ensure it would not be acquired by more extreme Islamist factions. 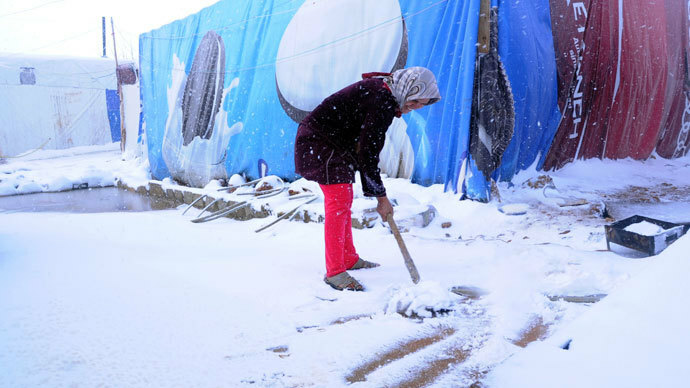 A White House spokesman said that US humanitarian assistance is not affected by the suspension. US State Department spokeswoman Jen Psaki said that while the US remains supportive of the SMC, the halted aid will make cooperation more challenging.